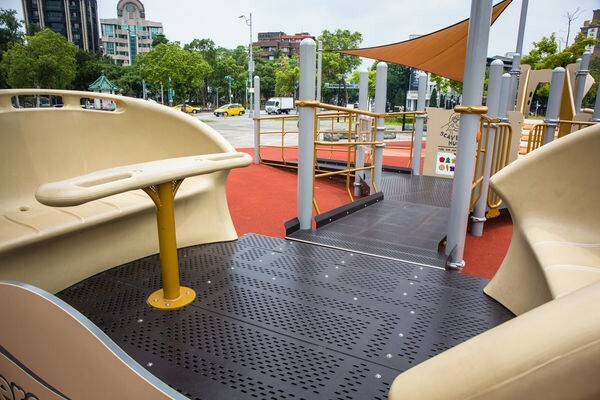 The concept of “inclusive playground” dates back two years ago to when it was first initiated in Taiwan. Due to continuous advocacy from several organizations, the inclusive playground concept was gradually noticed by the government. As a result, the government went from knowing nothing about it to now having a clear objective being set, being dedicated to building a better city. The first thought that came to mind was to install various inclusive playground equipment on large public fields. But in reality, there were no relevant legal regulations in Taiwan, so the Department of Social Welfare at the Taipei City Government decided to take the first step by making changes with Parent-Child Centers. 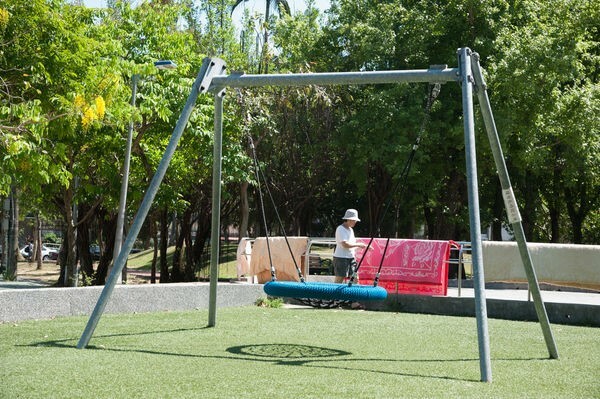 Hsu Li-min, Commissioner of the Department of Social Welfare, expressed that after a long discussion, the plans for the inclusive playground initiative started to bloom. They decided that rather than only installing equipment on part of the field, the entire space needed to be accessible. 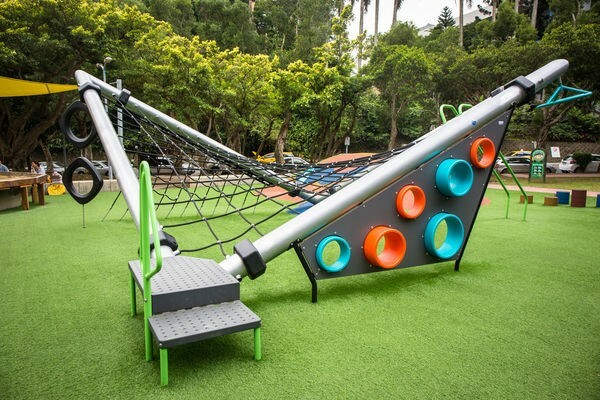 In the beginning, everyone only thought about importing the play equipment to Taiwan, but as user needs grew, it became a public responsibility to provide an environment that allowed children of all abilities to play together. The considerations included parking convenience, traffic flow planning from an entrance to playgrounds, accessible toilets and changing bench setups, etc. ­All these details needed to be discussed and implemented. As time went by, things naturally settled when the conditions were ripe. This happened when different parties reached a consensus at the right time: the continuous advocacy efforts from social groups had borne fruit, the Parent-Child Center made preliminary progress, the inclusive playground had been set as a cross-departmental project by the Taipei City Council. And on top of that, the Taipei Children's Amusement Park had also gotten the opportunity to install new play equipment. Since this was a cross-sectoral project, a Project Manager was needed, and CommissionerHsu Li-min volunteered to take on this coordination responsibility as a project leader. Starting from the Taipei Children's Amusement Park, they wanted to build a sandpit and install spinning teacups that enabled children in wheelchairs to have fun together. “This spinning facility will be a groundbreaking scene,” said Commissioner Hsu Li-min. And witnessing kids in wheelchairs having fun in teacups with other children is a scene that leaves a deep imprint on our hearts and minds. “If some people are willing to take one more step, things would succeed,” said Hsu. With the Department of Social Welfare’s trial run, the social groups’ continuous advocacy, and the other department heads joining together, there is confidence that things can get done, especially after the successful implementation of the inclusive sandpit and spinning teacups. Seeing the conversation move from “what Inclusion is” to “who is inclusion inclusive of,” Commissioner Hsu has been deeply moved by the team’s changes and progress during this period. When individuals are able to “participate with accessibility,” they can make great progress. Experts from social groups, parents, the physically and mentally disabled, playground equipment designer gather came together and listed down their combined ideas. With everyone’s efforts, the list will be completed step by step and the vision of a better city future will be realized. In the past, children with disabilities missed out on play activities, and could only watch from outside the playground. Now, at the same time in the same space, children of all abilities can play and laugh together. Hsu wants to rebuild these beautiful memories of happy children playing in the park. As Commissioner Hsu Li-min shared: change begins with the capital city, and good ideas must spread, especially because Taipei has a higher visibility compared to other cities.